Here's my test video 360 Degree Egg Timer Time Lapse. 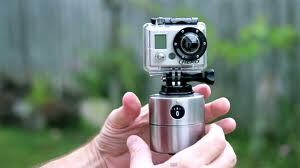 I'm using an egg timer to pan the Gopro cam. I hope you enjoy this simple project.